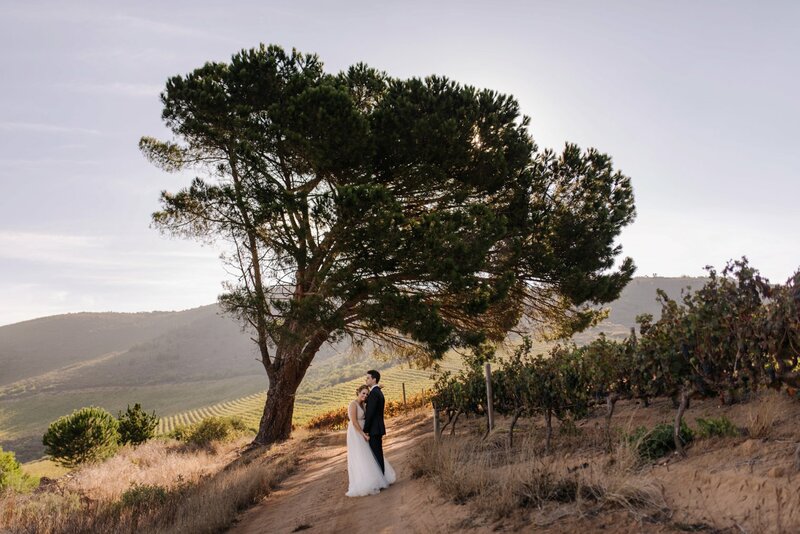 If you are planning a Landsctap wedding in Stellenbosch or anywhere else in the Cape Winelands and still need a Cape Town wedding photographer I’d love to hear from you! Please use the contact form at the top of the page or email me directly at mf@mathiasfastphotography.com. 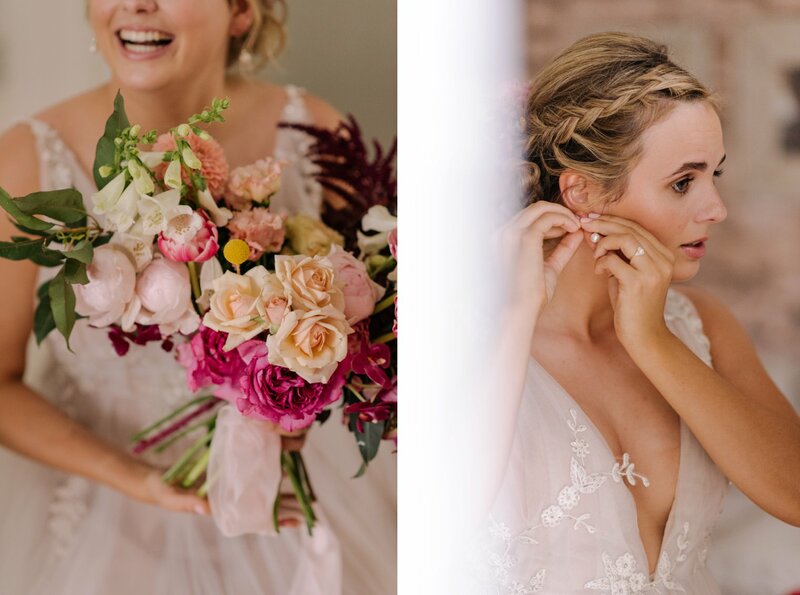 I am currently booking Cape Town and Vancouver weddings for this year and next. 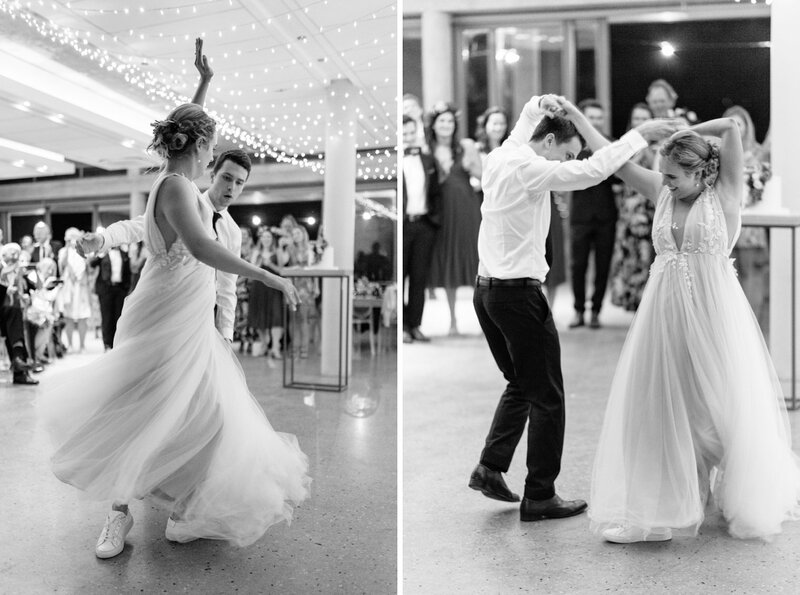 Difficult to put into words how special this wedding was to be a part of! 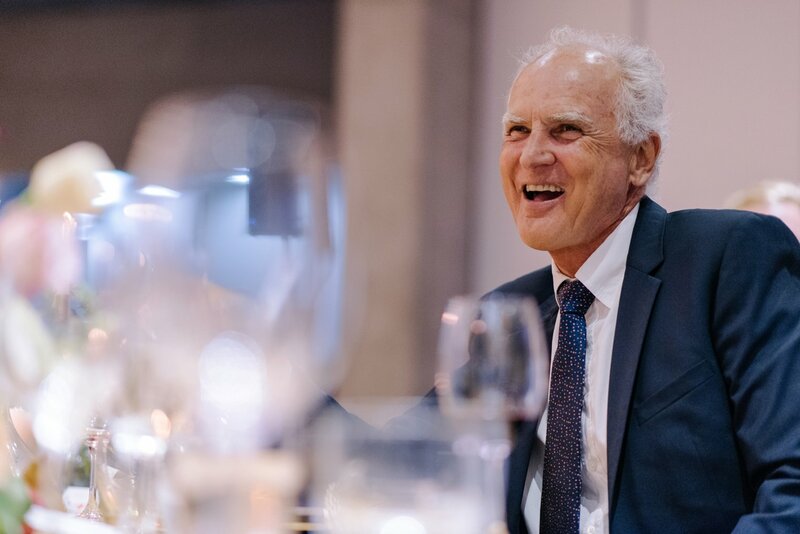 I was welcomed with open arms by Natalie and John and their families and the energy they all brought to the day was palpable. A truly special couple and I’m so grateful I could document the day for them. 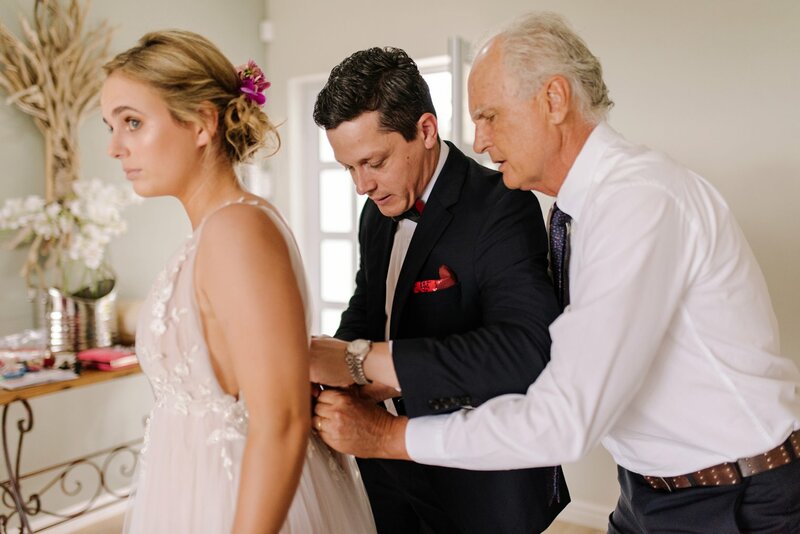 A special moment for me was watching Natalie and her father dance the night away to a few of HIS old songs (he used to be in a band). They knew every word and the joy on their faces was something I’ll always remember. 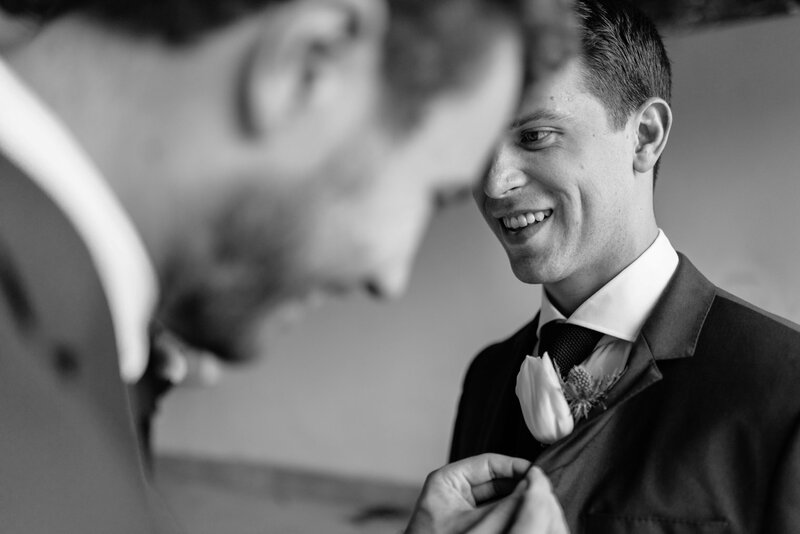 Can’t wait to share more images from this incredible Landtscap wedding in Stellenbosch. 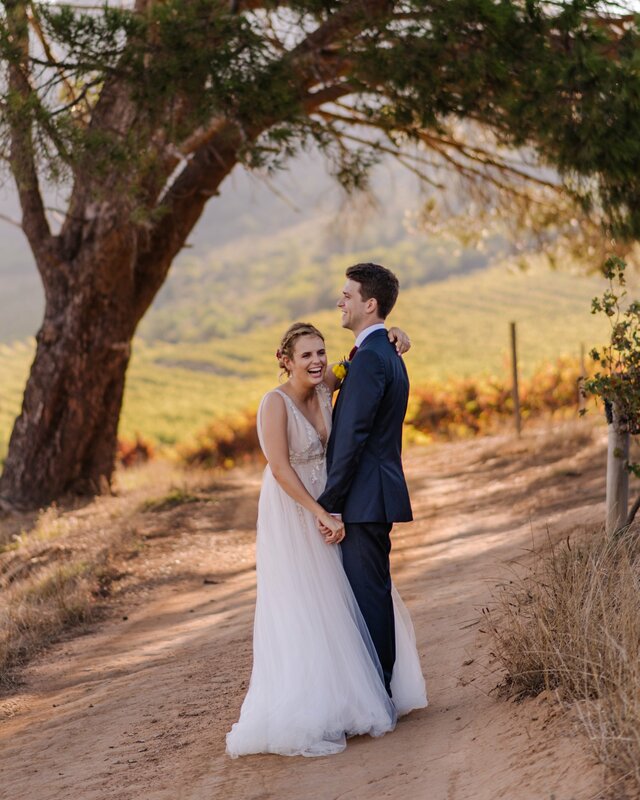 A little bit more about what makes Landtscap one the best wedding venues in Stellenbosch. The location is what stands out first. 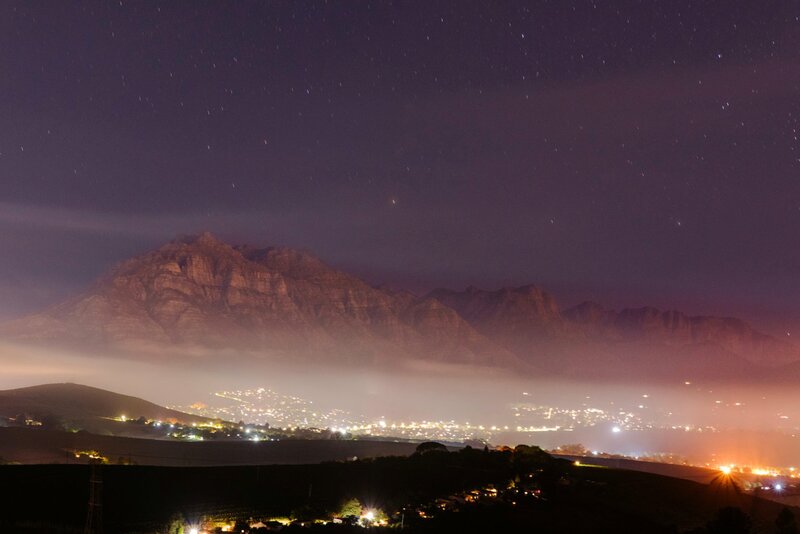 While only a short drive outside of Stellenbosch, Landtscap feels like its remote. 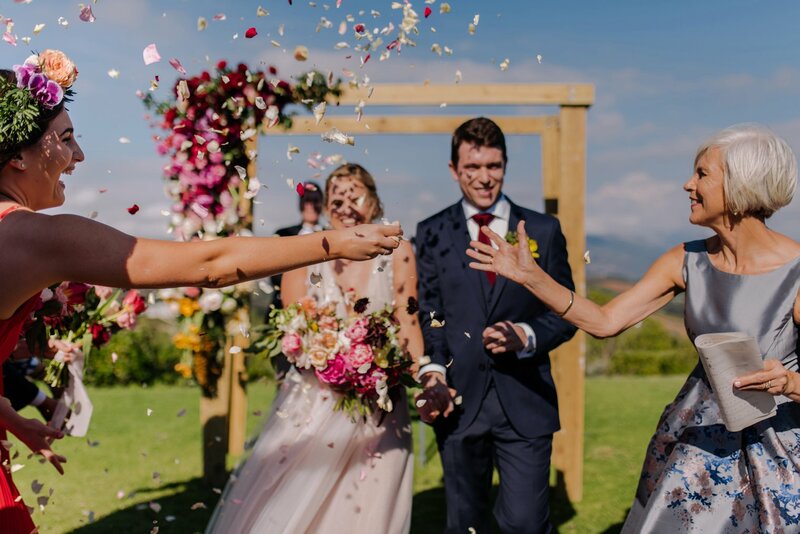 For those of you wanting a private wedding venue in the cape winelands this could be the perfect choice. 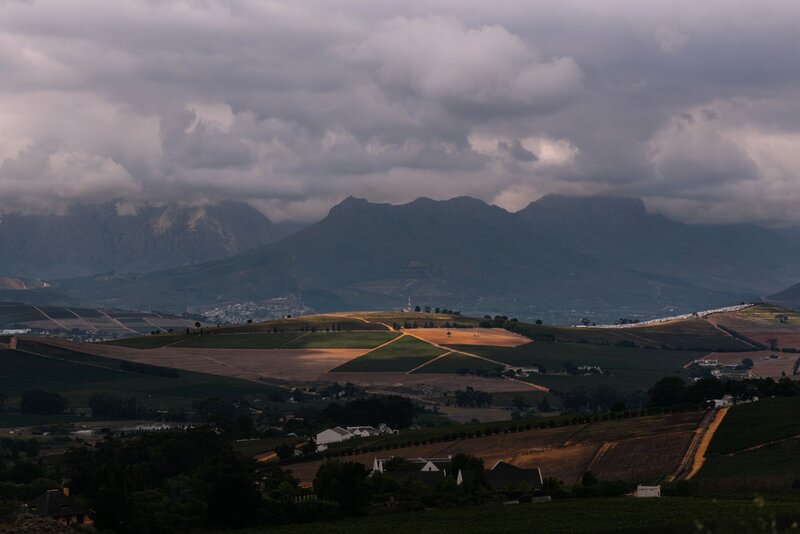 The dirt road takes guest through vineyards before they arrive high up on a hill at the base of the Stellenbosch mountains. The views from Landtscap are unparalleled and your guests will be blown away with what they see. 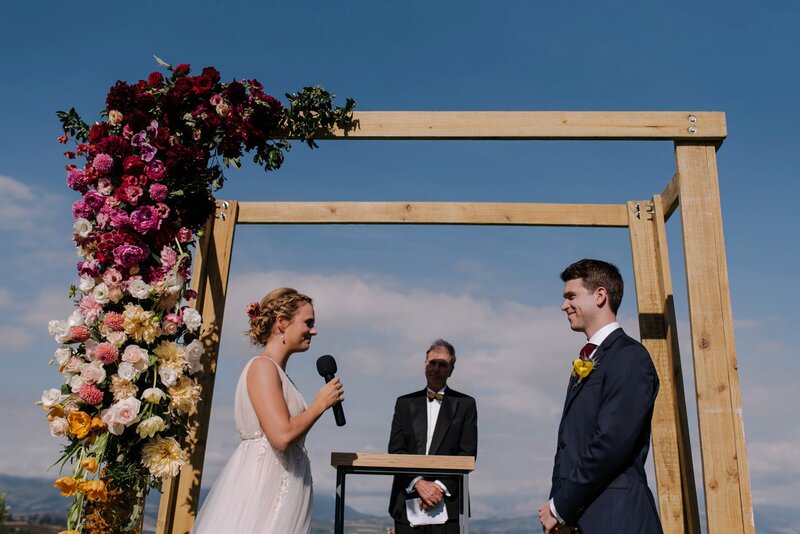 Situated on a working citrus and plum farm, Landtscap is a modern wedding venue that values environmental, social and economic sustainability. The large indoor reception space can seat up to 160 (with dance floor) and is an organic blank canvas that can be transformed in so many ways. The views your guest have while dining are the same incredible ones they have the entire day. 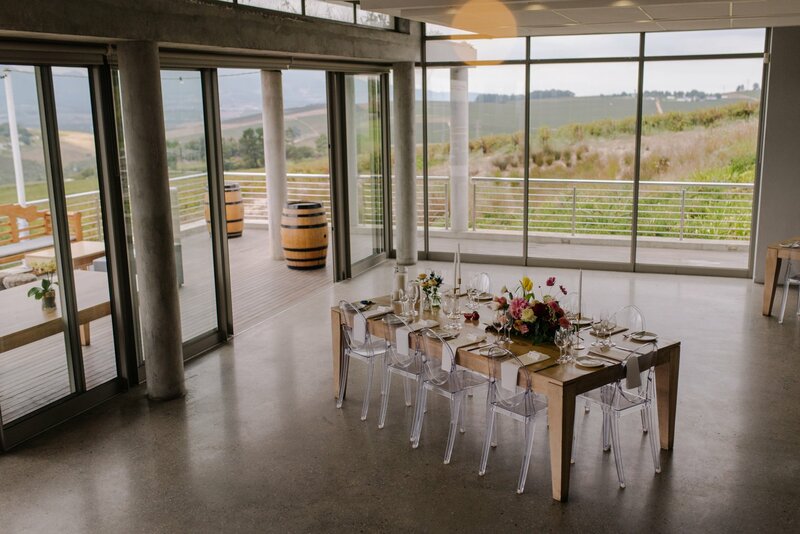 This modern wedding venue is a nice change from the predominant cape dutch architecture of the area. 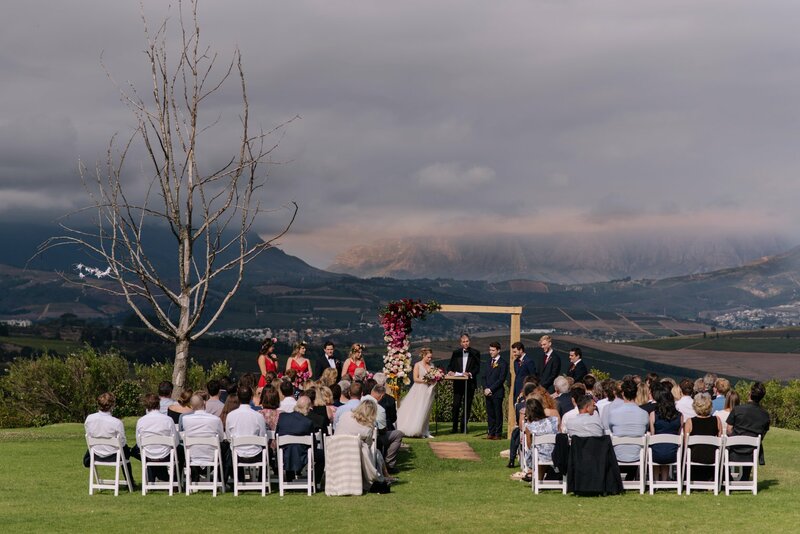 It also what makes it a very unique wedding venue in the cape winelands. The long wood tables that are provided by the venue help keep the atmosphere warm and inviting. 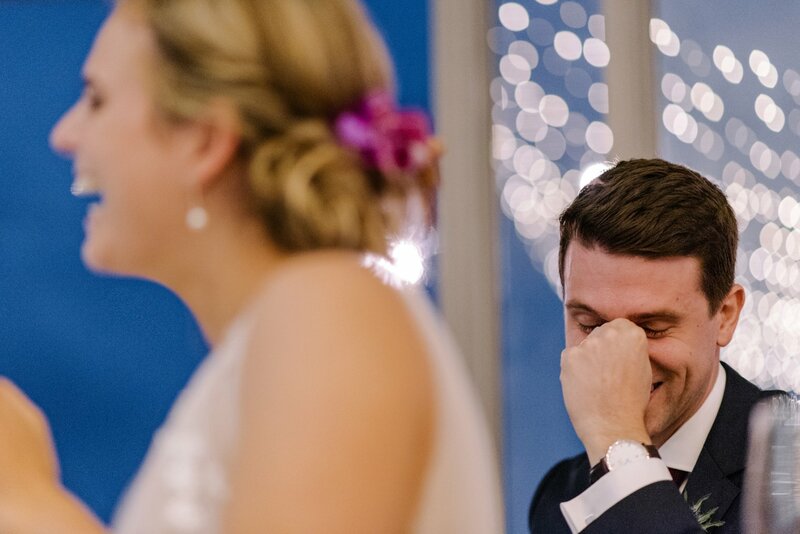 The indoor reception space has large sliding glass doors that open up onto the expansive wooden balcony where most wedding couples choose to have cocktail hour. 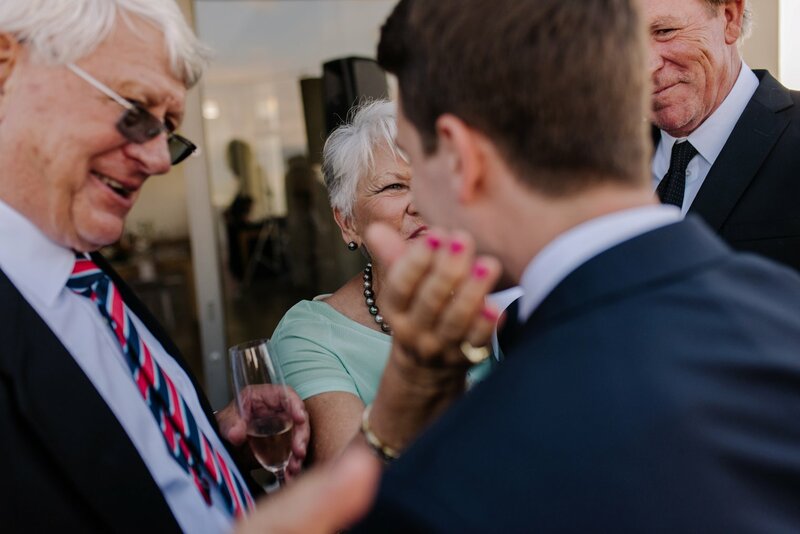 Landtscap provides comfortable outdoor furniture for the patio which is perfect for those of you looking for a budget friendly wedding venue. The deck leads onto the large side lawn which is where most bride and grooms have their wedding ceremony. Again, the views from the ceremony location are unrivalled. 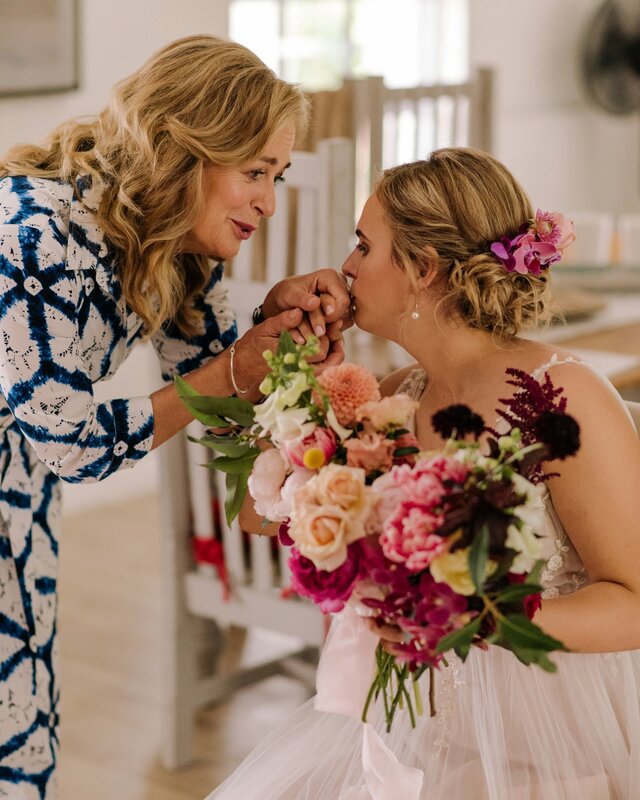 The organic space is also easily transformed into whatever vision you have for your wedding. 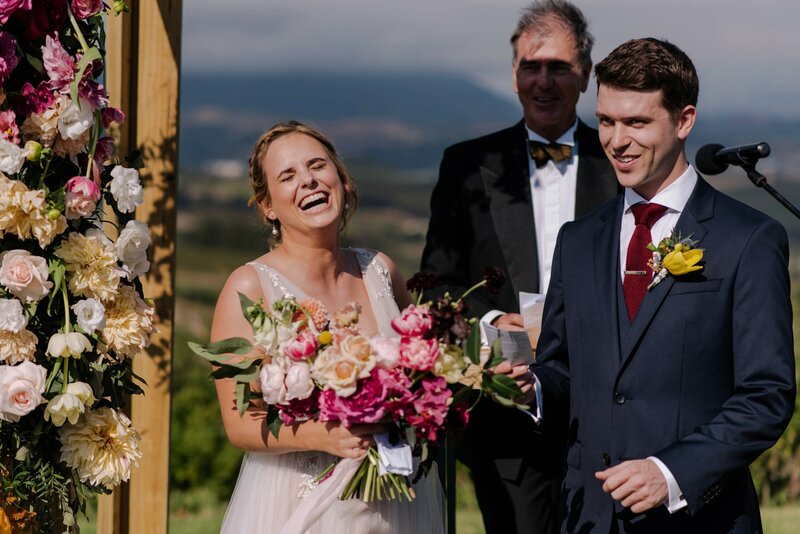 When it comes to wedding photos at Landtscap you are once again spoilt for choice. 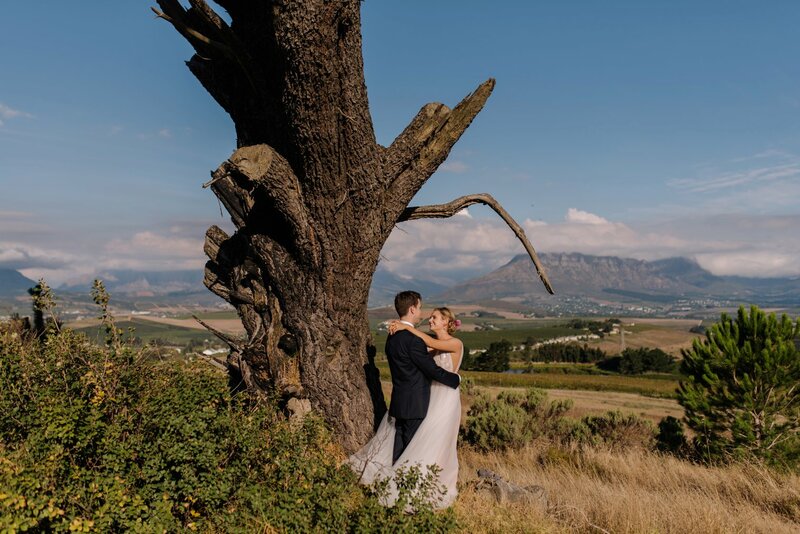 You have a range of backdrops, from the views of the valley to the Stellenbosch mountains behind the venue. 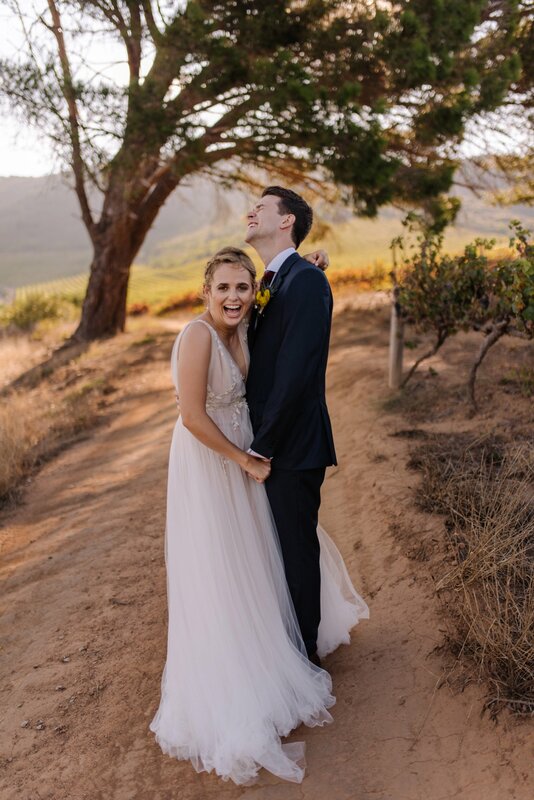 All make for epic Stellenbosch wedding photos. 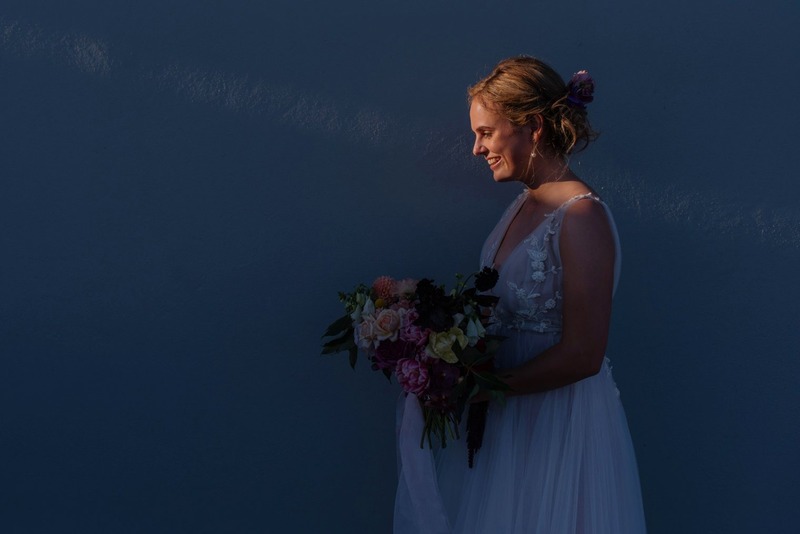 I highly suggest scheduling the portrait part of your wedding for later in the day when the sun is a little bit lower in the sky. It not only keeps everyone from getting t0o hot but the light is also much more appealing for those romantic wedding photos. Keep in mind that the sun will set earlier than stated due to the aforementioned mountains directly behind Landtscap. The food and staff at Landtscap are all top notch. 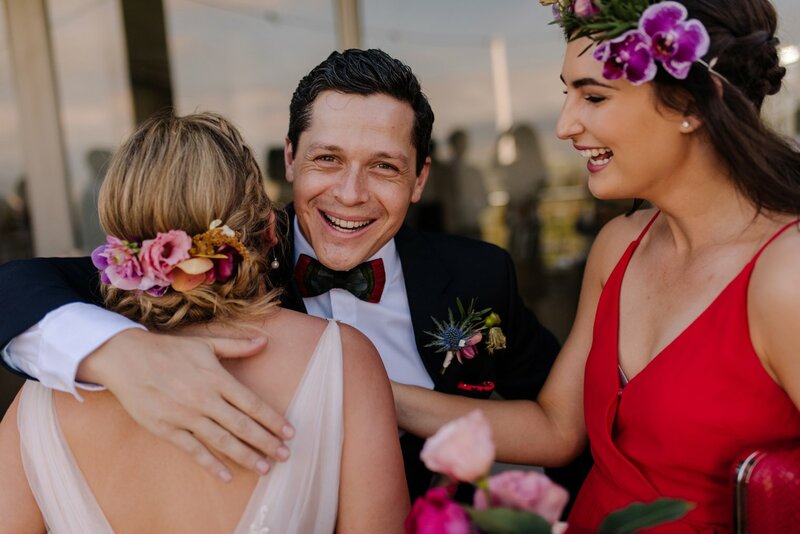 Friendly and helpful, they’ll make your Stellenbosch wedding run smoothly. A great thing about Landtscap is that they allow clients to provide their own wine if they wish. While Landtscap does not offer on site accomodations or rooms to get ready in, there are a number of accomodations close by. I would suggest Kunjani wines down the road and the new vacation rentals they have there.